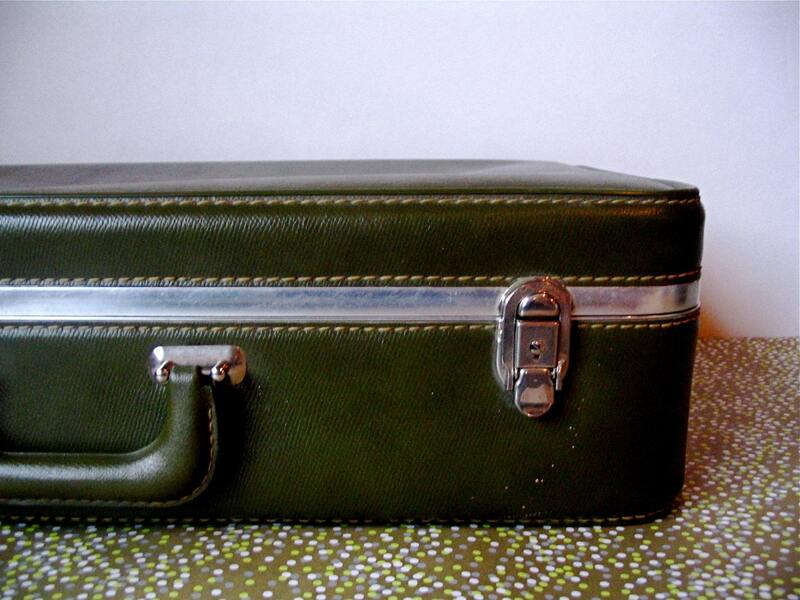 Dana Douglas of Happy Day Vintage features original vintage housewares and luggage "because vintage is vogue." I've always had a love for vintage/retro items but it wasn't until August 2008 that I discovered I had a passion for them. On a whim I went to a garage sale and found a few treasures (what my 3 year old daughter calls them). One of the treasures reminded me of my Grandfather who has passed away. From then on I was hooked. I adore the lines, colors, and quality of each item I purchase. I relish in the fact each item tells a story. I find it fascinating these items are no longer produced and therefore you won't find it at the home store down the street or in your neighbors living room. Hands down...playing with my two kids. It doesn't matter if we're dancing, playing chase, tickling, playing barbies, making cookies, reading or just cuddling on the couch. Being with them, hearing them laughing and watching them smile is the best thing in the world. Finding time. My kids are everything to me. I don't want Happy Day Vintage to take time away from them. I try to do a little bit for my shop here and there throughout the day. When the kids go down for nap I sit at the computer and frantically list items on etsy or update my inventory/accounting spreadsheets. The good news is my kids love to "treasure hunt" (what my daughter calls it when we go looking for vintage items), and I love treasure hunting with them. My daughter (3 years) is starting to develop a good eye for vintage luggage. My son, (21 months) really doesn't care about the treasures as much as he enjoys the sucker I give him in an effort to keep his hands off the breakable items. Ouch, that's a tough question but I won't back down, I'll answer it....the Vintage Smith Corona Turquoise Blue Typewriter. I adore this thing. Like all my items I feel like it has a history. Who knows what stories, term papers or love letters have been written on it. Plus, I love it because it would look really cool in my office. Older and wiser. I'm just kidding....I wanted to be a veterinarian. I have always loved animals. 1) Sugar Chic Baby: I have bought many of her headbands for myself and my daughter. They are adorable and so comfortable. Not to mention reasonably priced. 2)Cite Fuzz: A girlfriend of mine bought these hats for her kids...they are adorable! Very well made. 3)Valhalla: What woman wouldn't love this shop? Visit Happy Day Vintage on Etsy or at happydayvintage.blogspot.com and see if you can help her out with those goals!